Grew up with Astoria Bydgoszcz (Poland) juniors. Signed for the 1997-98 by Prokom Trefl Sopot, played his first season with the farm team, in the 2nd division. Made his debut with the main team during the 2000-01 season. Moved to Italy for the 2009-10 season, signed by Scandone Avellino. Back to Poland for the 2010-11 season, signed by Trefl Sopot. 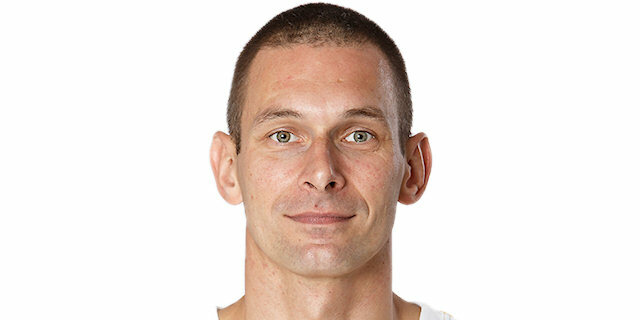 Signed for the 2013-14 season by PGE Turow Zgorzelec. Signed for the 2016-17 season by Trefl Sopot. Signed for the 2018-19 season by Arka Gdynia. Won the 2003-04, 2004-05, 2005-06, 2006-07, 2007-08 and 2008-09 Polish National Championship with Prokom Trefl Sopot. Won the 2000, 2001 and 2006 Polish National Cup with Prokom Trefl Sopot. Won the 2001 Polish Super Cup with Prokom Trefl Sopot. Named the 2008 and 2014 Polish League Finals MVP. Played the 2004, 2007, 2008, 2009, 2011 and 2012 Polish All Star Game. Has been member of the Polish U-18 National Team.